For more than 70 years, JD Ott has been a beacon of precision and excellence in aerospace machining. Our attention to detail and dedication to quality at every level of the manufacturing process means that JD Ott produces a product that our customers can count on every time. 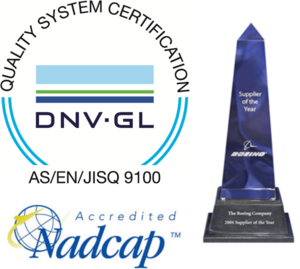 Our QMS is certified to AS9100D and ISO9001:2015, and our quality department maintains NADCAP certifications in Measurement & Inspection and CMM operation. The quality of your part is safe in our hands. For over 70 years, JD Ott has been recognized as a leader in aerospace precision machining and manufacturing. With more than 100 years combined experience, our Quality Assurance department strives to meet just one standard: one hundred percent good parts, one hundred percent on time. Climate controlled Quality Assurance laboratory. 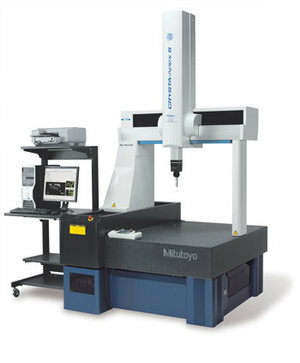 2 operational CMM's for measurement of CAD models and complex geometry.